Britain's biggest carmaker Jaguar Land Rover (JLR) said on Thursday it is to build its new E-PACE compact sport utility vehicle in Austria and China, the first of its cars only to be manufactured outside of its home market. 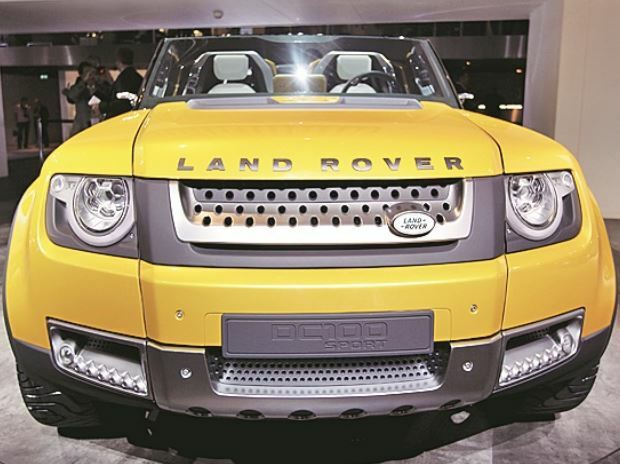 JLR said its three British plants were either full or at near capacity but the decision will spark fears the firm is looking to boost its output by using overseas operations, rather than invest in greater capacity at home. The British company, owned by India's Tata Motors, is rapidly expanding its production levels and model line-up and decided in 2015 to build a major new plant in Slovakia, rather than expand its operations in Britain. Like much of the British car industry, JLR is also worried that Brexit could leave its car exports facing lengthy customs delays and tariffs of up to 10 per cent, risking the viability of production in Britain. Austrian contract carmaker Magna Steyr, a unit of Magna International, and JLR's plant in China, which is a joint partnership with Chinese automaker Chery, will produce the E-PACE. "With plans already in place to take Jaguar Land Rover’s three vehicle manufacturing plants in the UK close to their operating capacity, the creation of overseas manufacturing facilities delivers additional volumes needed to support the company’s future strategy," the firm said in a statement. "It allows Jaguar Land Rover to offer its customers even more exciting new vehicles, to protect against currency fluctuations and to build a globally competitive business." Magna will also produce the firm's previously announced first electric model, the I-PACE, from 2018, although JLR has said it wants to build low-emissions vehicles in Britain if certain conditions are met.